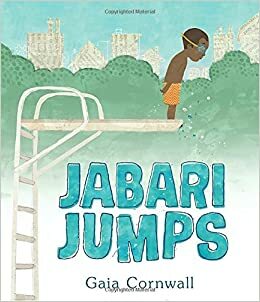 Jabari wakes up and is ready to jump off the diving board, but once he and his family are at the public swimming pool he loses his courage. Jabari hesitates and makes excuses, but luckily he has a supportive and encouraging dad. This book is a slice of life story about a boy who can teach readers about risk-taking, optimism, and courage. The illustrations are interesting and show all the emotions Jabari is feeling. This book would make a great read aloud and also be useful as a writing mentor text. It is really a lovely picture book. Mona, an orphaned mouse, discovers that home is where the heart is when she happens upon a hotel inside the trunk of a tree. 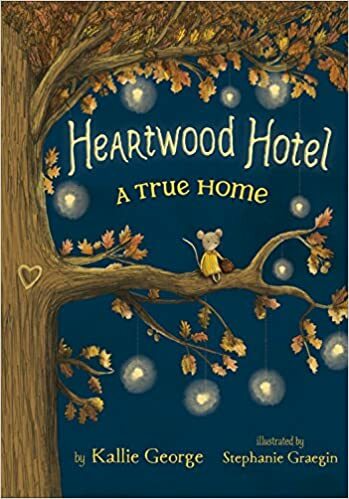 Heartwood Hotel sounds like a delightful and cozy place to visit with a heart carved into the door and the wonderful, kind creatures that reside inside. The story is fanciful and sweet. There are quite a few illustrations throughout the book as well. This is a book that would be perfect for readers who don't have the stamina yet for longer chapter books. Eddie is a shiny green bug who loves books and lives with his family in Room 19 at Ferny Creek Elementary School. His aunt has gone missing in the library so Eddie goes on an adventure to save her. When he gets to the library he finds his Aunt Min, but also discovers he needs to save the library, as well. Eddie provides an amusing perspective on the library and reading and readers will root for him as he faces many close encounters with danger. The author referenced quite a few popular works of children's literature in the book, too, and the illustrations, done by Victoria Jamieson, are lovely. Tess, Theo, and Jamie live in an apartment which is being sold to a real estate developer. In order to try and keep their home, they are determined to solve the Old York Cipher. This is quite a mystery. It's an exciting and fun read, with some elements of fantasy and interesting characters. The ending will have you eager to know what adventure awaits Tess, Theo, and Jamie in the next book. I've noted all these books, Lisa. They sound very good, especially The Tiny Hero of Ferny Creek Library. I've seen others feature York. It will be a good one, too! Thanks for sharing so many good ones! 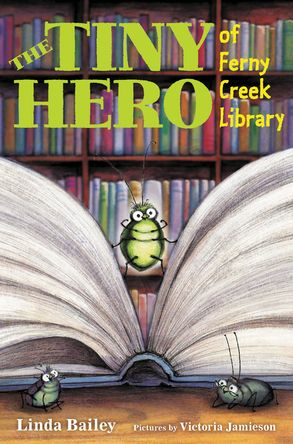 Being a book lover I can't imagine you not enjoying The Tiny Hero of Ferny Creek Library. A True Home looks like such a sweet, cozy book. I loved Kallie George's writing in The Magical Animal Adoption Agency books, so I'll have to be on the lookout for this one. I haven't read any of The Magical Animal Adoption Agency books, but I'm thinking it would be a popular series with some of my students. I have Jabari Jumps waiting for me at the library and York on my TBR shelf and I'm looking forward to both of them. I'll be looking for the other two next library visit. Glad you got a few titles to look for at the library! I love all these Canadian titles Lisa! I'm looking forward to reading The Tiny Hero of Ferny Creek Library because it's Linda Bailey. Then there is Laura Ruby. I'm really excited about that one. I didn't realize that Linda Bailey is a Canadian. I also just realized she wrote the picture book When Santa Was a Baby. I have to check out more of her books. What a great week of reading, and like Cheriee I'm thrilled to see a couple of Canadian books getting some love!! 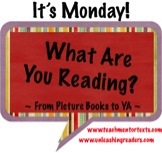 It was a great reading week! I really enjoyed Jabari Jumps. Such a great book for summer. I haven't read Laura Ruby's newest yet but I'm seeing it get lots of buzz. I probably should add it to my TBR pile. She is a great storyteller! I really need to remember to look for Jabari Jumps! I've seen several good reviews of it, and the cover looks perfect for summertime reading. Have a wonderful week! It's a great read for summer and anytime! I haven't read any of these and I only knew of York, so thank you for sharing them with me as they all sounded fantastic! 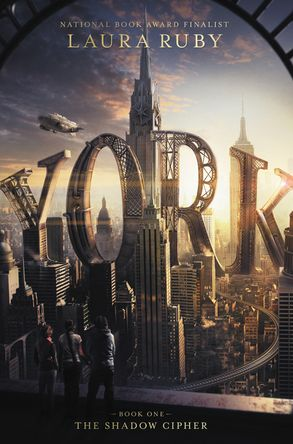 York, especially, is one that I am going to pick up. I'm getting the Heartwood Hotel book today! I love the illustrator so I can't wait to see it! I noted The Tiny Hero book, looks like one I should pick up! I enjoyed reading Laura Ruby's Bone Gap so I am looking forward to reading this new book - and it's the beginning of a series too! Nice!